Annual College and Career Fair! 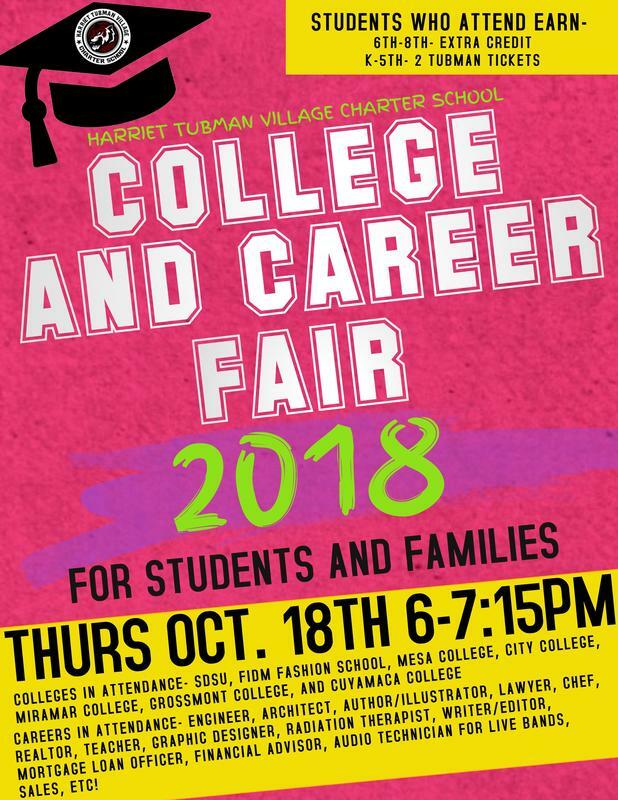 Our College and Career Fair is Thursday, Oct. 18th from 6pm-7:15pm! Students and their families are all invited to come meet local college representatives and career professionals! Middle school students who attend earn extra credit in a class of their choice and K-5th students earn 2 Tubman tickets to use at the student store! Careers in Attendance- Engineer, Architect, Author/Illustrator, Lawyer, Chef, Realtor, Teacher, Graphic Designer, Radiation Therapist, Writer/Editor, Mortgage Loan Officer, Financial Adviser, Audio Technician for live bands, Sales, Etc.